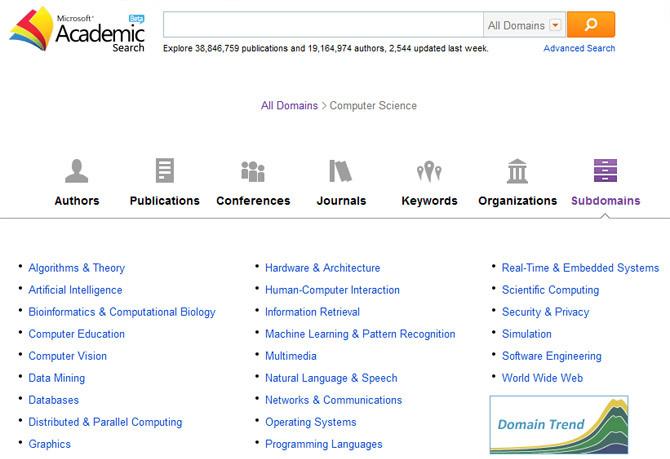 In 2009, Microsoft Academic Search, Micrsoft's third scientific search engine, was launched. Microsoft Academic Search adopts the object approach of Libra. Which is the basis for the profile concept, which can also be found in some bibliographic databases. Profiles of authors, organizations and journals are displayed, which also serve for navigation. In addition, visualizations of co-authorships, for example, or a time axis for the publication and citation volume of authors as well as organizations are offered. 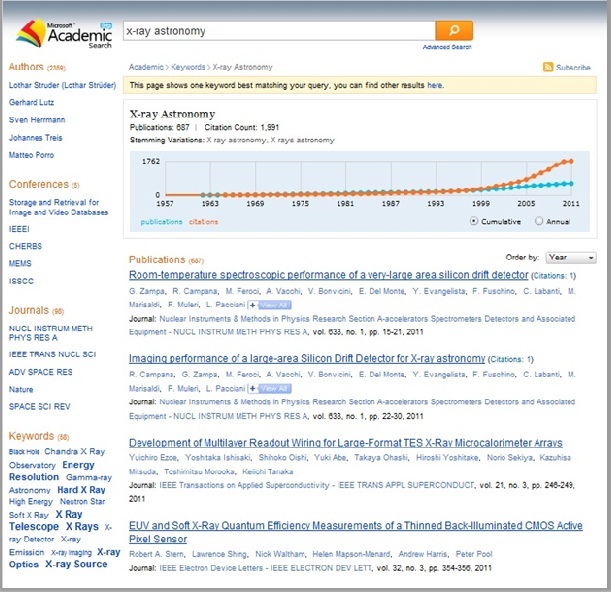 Closed »Microsoft Academic Search was a research project that ended in 2012, and no new content has been added to that site since 2012.« The side finally shut down in February 2016.